Excitement is in the air as the 29th IIHF Ice Hockey World Championship comes to Slovakia and this year’s sponsors are none other than Coca-Cola. Last week this notorious brand revealed the championship trophy to the public with the launch of their new campaign #CokeRulez. They will be bringing the trophy to multiple towns across Slovakia throughout March and April as well as manufacturing special Coke-Zero bottles in light of the of this event. Tournaments for divisions I to III are due to start at the end of March in Abu Dhabi before coming to Slovakia in May. 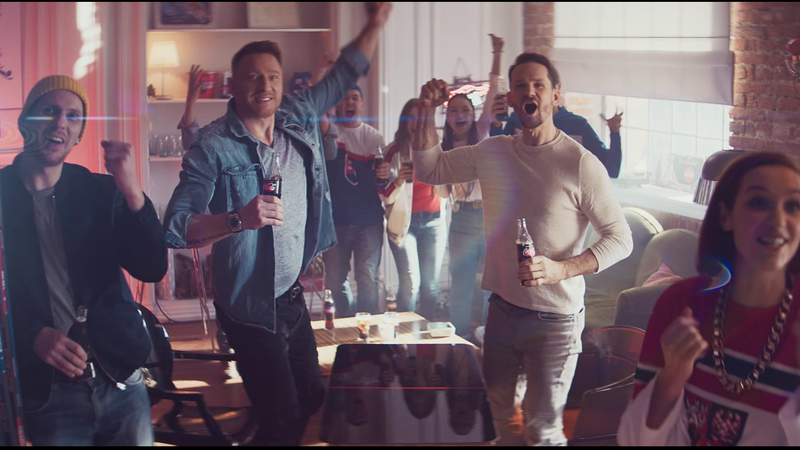 Marian Hossa and Patrik Eliáš, two world famous Czech and Slovak ice hockey players, feature in Coca-Cola’s fun, vibrant TVC. A sports hero sipping Coke-Zero – a perfect marriage of brand and event. The Black Keys’ iconic ‘Lonely Boy’ provides the ideal soundtrack for this popular global tournament. Instantly recognisable, upbeat and catchy, this track is a must on everybody’s party playlist. The 16 national teams from the top division will battle it out from 10th to 26th May 2019 in the host cities Bratislava and Košice. Grab your skates and grab your Coca-Cola, we are hitting the ice. You can watch this spot in Slovakia or Czech Republic.